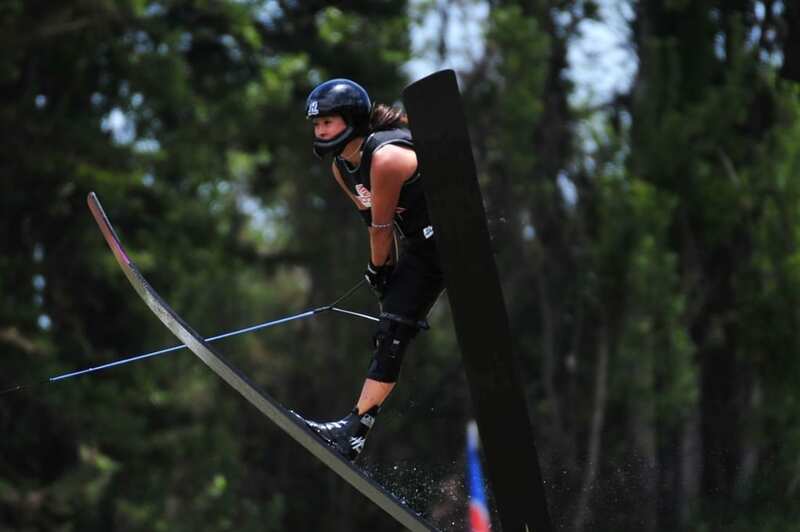 33 senior world titles were awarded after 6 days of intense competition at the 2018 IWWF World Over-35 Waterski Championships held at Miranda’s Water Ski School in Chile. 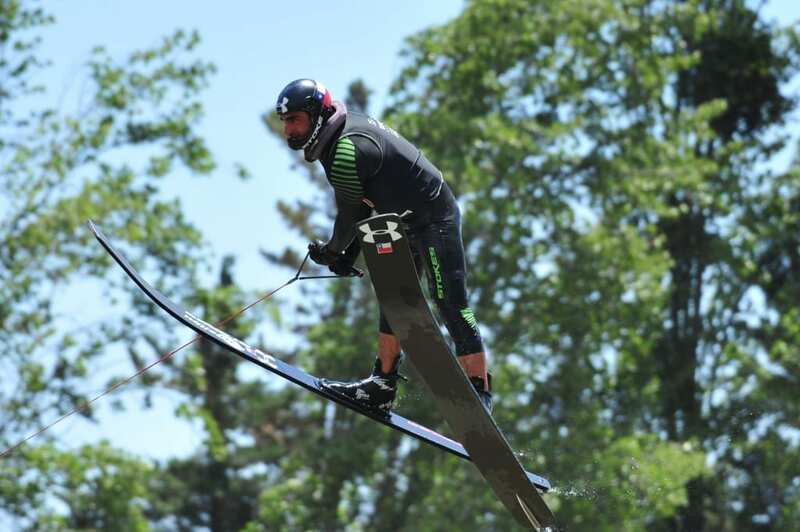 Over 170 skiers from 24 countries were registered to compete in 4 age categories: Over-35, Over 45, Over 55 and Over 65. 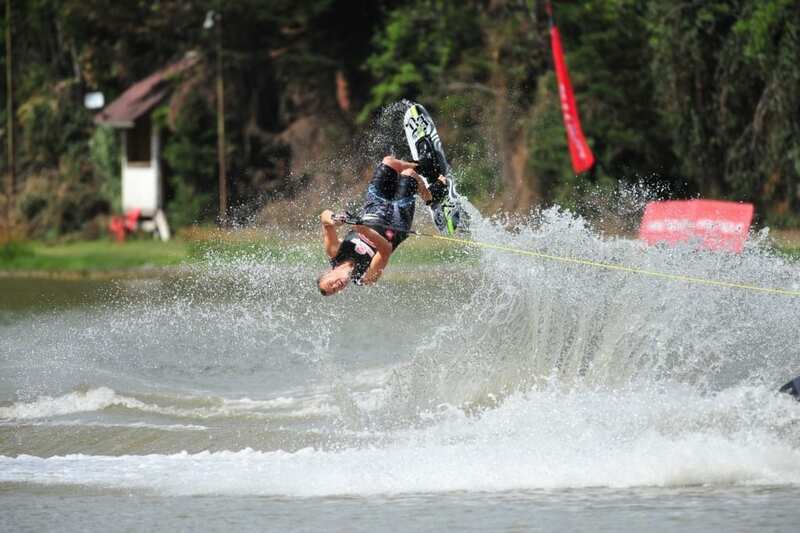 There were 7 new IWWF World Senior Championship records and four new National records, set behind the the all-new Ski Nautique. Things heated up in the ever competitive Over-55 Men’s Slalom final. Mike Morgan (USA) went out early and scored 3 buoys @10.75 metres to set an early pace. Surprisingly the top 2 seeds, Chet Raley (USA) and Greg Badal (USA), fell at 11:25 metres to leave David Miller (CAN) winning the gold medal with a big score of 2 @ 10.25 metres, followed by Bruce Dodd (CAN) silver 3.5 @ 10.75 m and Mike Morgan (USA) the bronze. Canada’s Trent Finlayson, who won the Over-35 Men’s slalom title at the IWWF Pan American Championships two weeks before, stood above everyone else again on the podium with a score of 2 @ 10.25 metres, just ahead of Dave Wingerter (USA) 1 @ 10.25 metres and Seth Stisher (USA) 4 @ 10.75 metres. Jimmy Siemers (USA), the 2018 Moomba Masters and 2003 IWWF World Open Men’s Trick Champion set the Over-35 Men’s Trick Final alight with a score of 10,230 points, way ahead of Silver Medalist Rodrigo Miranda (CHI) 7,320 points and Baptiste Fau (FRA). Local favourite, Rodrigo Miranda (CHI) won his first IWWF World Title in Over-35 Men’s Jump with a 63.8 metre jump, just ahead of Jimmy Siemers (USA) 63.4 metres and bronze medalist Casey Mommer (USA) 55.2 metres. As expected Siemers (USA), the 2003 & 2005 IWWF World Open Men’s Overall Champion and former World Open Men’s Overall Record Holder, won the Over 35 Men’s Overall title ahead of Rodrigo Miranda (CHI) and Baptiste Fau (FRA). 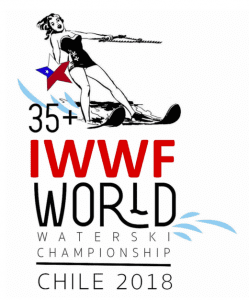 Notable performances came from Team USA’s Lori Krueger and Joy Kelley who were on the podium for all 3 disciplines, winning Overall in Over-45 & Over-55 Women’s category respectively, just like they did at the last IWWF Over-35 Worlds in 2016. Likewise for Canada’s Pierre Plouffe winning Overall in Over 65 Men. Japan’s Harue Kamiya became the first Asian skier to win an IWWF World Title by winning the Over-35 Women’s jump and she also won a silver medal in Over-35 Women’s Overall. Team USA won the team overall gold, followed by France Silver and Great Britain Bronze.